I was lucky to have a long weekend in Portugal for my friends’ wedding recently. Reading on holidays is simple- slather on a high factor suncream (and if you have a free tissue flap on your foot, whack on a sock to prevent scars burning…), some sunglasses and a hat. 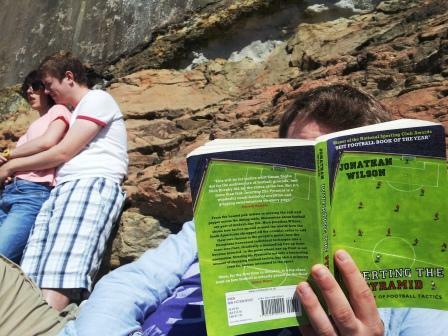 Find a suitable spot and a cold drink and proceed with reading. If you fancy making blog readers jealous, take photos of your scenic location. 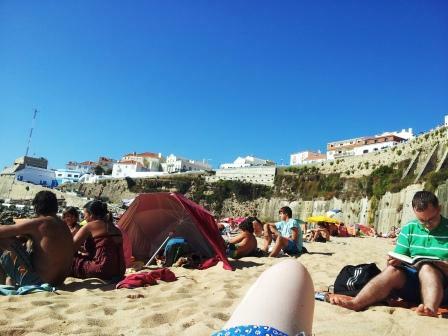 Taken while lying on beach reading. 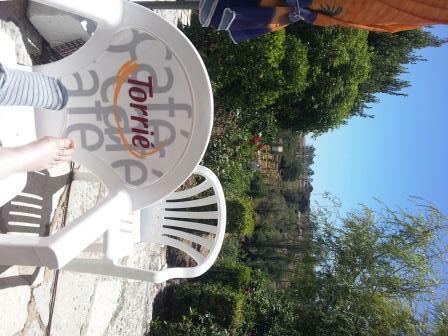 This entry was posted in Uncategorized and tagged books, holiday, Portugal, travel on July 20, 2012 by Siobhan. I know that when I went to see Wicked I mentioned that I had a slight obsession with The Wizard of Oz when I was growing up. This may have been something of an understatement. 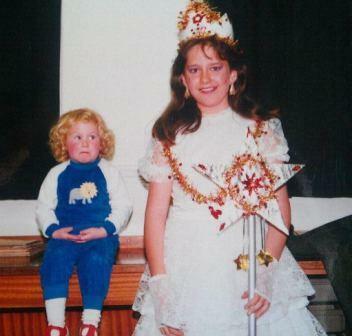 As well as naming my rabbit and guinea pig Dorothy and Scarecrow, walking around quacking songs from the musical (I might even share footage of this one day) and watching the film on repeat until it wore out, I insisted upon having Wizard of Oz themed birthday parties and for a while would only wear red shoes. For Halloween I dressed up as a witch, every year. I wouldn’t let my little sister dress as anything else either. My grandfather taught in a secondary school that had a production of The Wizard of Oz when I was about two and I went along to watch and meet the cast. 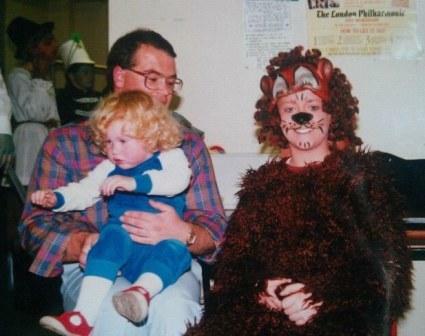 It may have been the best moment of my life ever, though I was terrified of the cowardly lion. It’s one thing to have a lion on the TV, but to meet one in person? Terrifying. Though I have overcome my initial fear of people dressed up as lions, I haven’t really grown out of my Wizard of Oz obsession. I have a Wizard of Oz tray, glasses and mugs. When I had my operation in November, a friend from work bought me a sing-a-long Wizard of Oz DVD. I have been banned from watching this when my boyfriend is at home. In light of this, you can probably imagine how excited I was when my favourite craft authors Christine Leech and Hannah Read-Baldrey who wrote Everything Alice (and unwittingly led to my house being overrun with lavender-scented dormice…) brought out their new craft book Everything Oz: The Wizard Book of Makes & Bakes. I’ve been feeling rubbish all week with some kind of evil tonsil virus, but when my copy of Everything Oz landed on my doorstep it lit my little world up. It is better than I ever hoped for. I am so excited to start on some of the crafts in there- they will be perfect for making the house and garden very much me. And everything will go beautifully with the “There’s no place like home” print my boyfriend’s sister Laura got me. 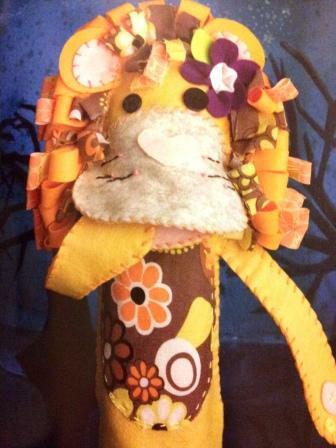 This doll is unbelievably cute, especially when dressed in her little lion mask on page 13 of the book. I would have loved a doll like this when I was little. As it is I’ve been looking for some nice book ends for my dining room bookshelf for a while now and haven’t been able to find any that I’ve really loved, so when I make this little lady I will fill her with rice or lentils to give her a bit of weight and let her do the job. I will let you see her when she’s done. I think she’ll do a great job. Not only does this look incredibly snuggly and cute, but it is the perfect way to recycle the many, many jumpers and cardigans my boyfriend has shrunk recently. He’ll also make a great Christmas present for my mother who has a Scottie and is very slightly bats about them, and my older sister who will appreciate the Radley look (while my bank account appreciates the break). If my enthusiasm for all things Oz hasn’t made you doubt my sanity, the next thing I’m about to say will. I have an imaginary corgi called Mr Whiffles. So far, so bonkers. But fear not dear readers, I remain in possession of most of my wits- I know that I don’t really have a corgi called Mr Whiffles. I just talk to my boyfriend as though I do in the hope that he will let me have a corgi in a desperate attempt to stop his friends thinking I’m madder than a hatter… a cunning plan I assure you. Anyway, when I have Mr Whiffles, you can rest assured that I will make him this absolutely gorgeous dog house to sleep in. If it transpires that I will not be allowed a Mr Whiffles any time soon, I’ll make one for my rabbit and train her as a dog. Creative solutions, that’s what we’re about here. He is so cool, and really makes me wonder how I could ever have been scared of the poor cowardly lion. I think he’d make a great toy for amusing a baby, and I’m pretty sure that my niece who is nearly four would have a great time with him. 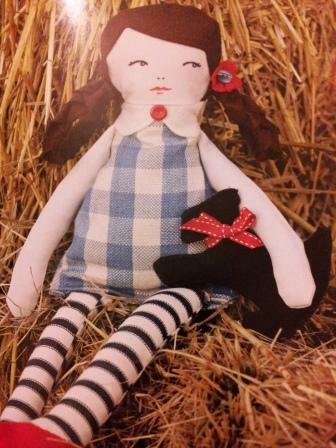 I have a soft spot for Wizard of Oz themed puppets. After I was run over I had to spend an entire summer in hospital, and my Dad (who is incredibly crafty and a great artist) made me a marionette wicked witch. She’s probably at home in Wales still. I’ll have to dig her out. In addition to the cowardly lion puppet, there are some really simple cut out and split pin puppets which would make a lovely rainy afternoon project for little crafters. After all of this crafting I intend to do, I am going to have to make everything in the Everything Oz bath time section to chill me out that little bit more than I already am. There’s a great range of lovely looking things including Put a Brave Face on It Skin Tonic which will be good for my dry skin and allow me to make use of the glut of roses in my garden. I also fancy the delightfully named Sleepy-Time Salt Scrub with Lavender but the thing I’m really excited about is the Face Mask of Eternal Youth which looks like it will make something similar to an overpriced product I buy too often in Lush. The savings start here! Quadrille have very kindly supplied me with a copy of this book to give away to a lucky reader. 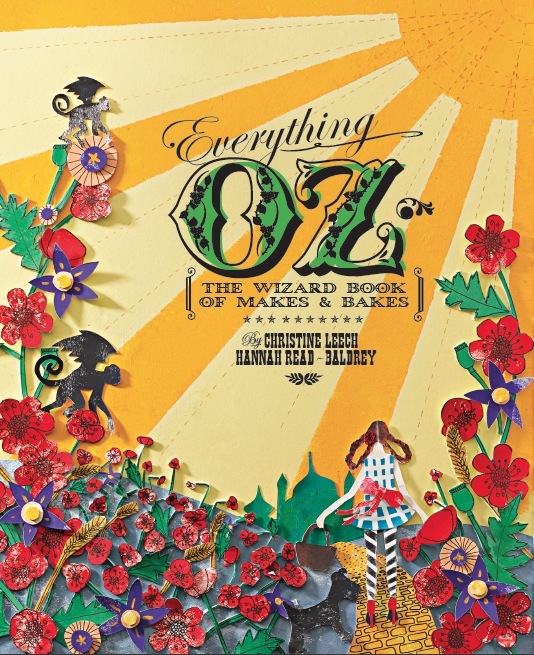 To be in with a chance of winning it, send an email with the subject header Everything Oz Competition to bookandbiscuit(atsign)hotmail.co.uk replacing the (atsign text) with an @ to outwit those pesky spammers by July 16th 2012. This entry was posted in Book Reviews, Fun Stuff and tagged books, childhood, cooking, craft, family, sewing, wizard of oz on July 9, 2012 by Siobhan.